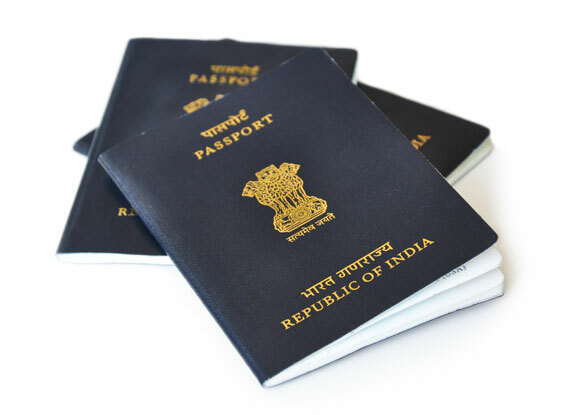 The passport is issued to an Indian citizen by the Consular Passport and Visa Division (CPV). There are about 35 locations in India from where passports are issued and around 160 Indian missions abroad. A passport is issued to a person as fresh passport or reissue of passport. The passport will be reissued in case of expiry of old passport. This type of passport is issued for normal travel purposes such as business or vacation. The color of this passport cover is Navy blue. This type of passport is issued specially for Indian diplomats, top ranking government officers etc. The color of this passport cover is maroon. This type of passport is issued to those Indian who represent the government for official business purposes. The color of this passport cover is White.